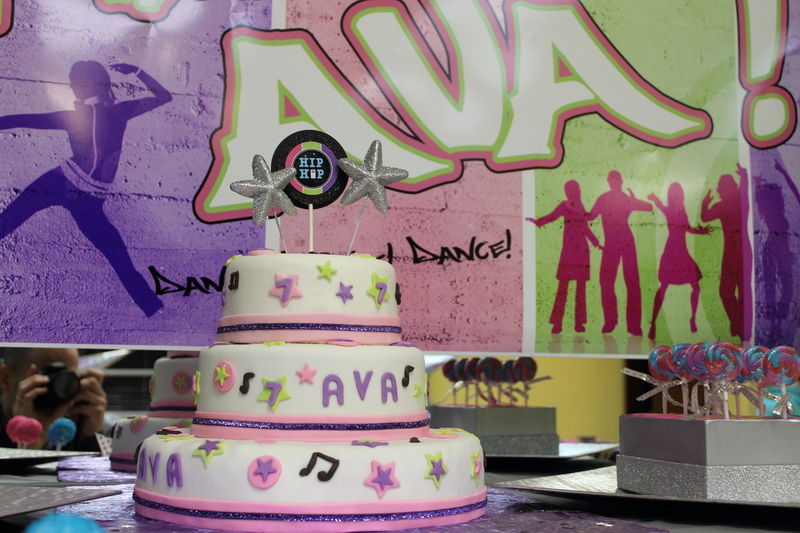 Our oldest daughter’s (Ava) love of dance lead her to request a “hip hop dance party” for her 7th birthday. It was no question that the location would be at her dance studio Stars of Dance. 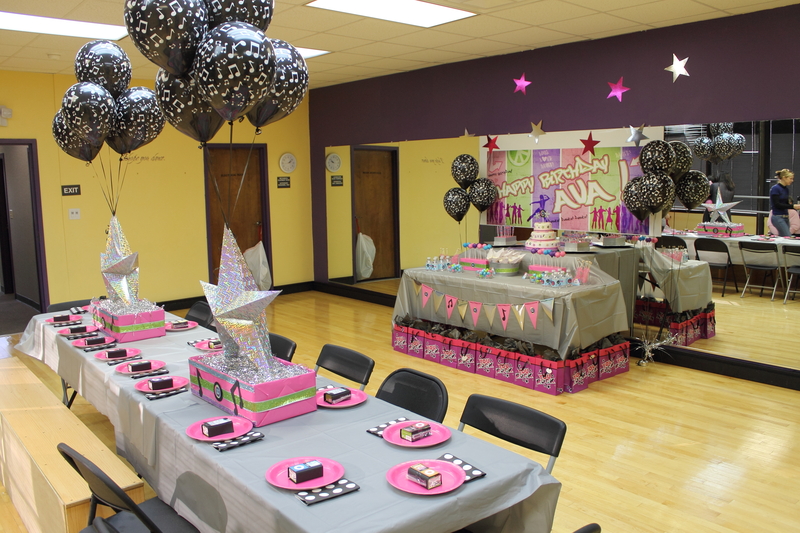 The challenge was designing a party that reflected her idea of hip hop…which was her love of the iPod, and bright colors and dancing to current pop music. As I began looking for a printable set that would reflect this, I came up with not many options. Most printables were too “disco” or “rock star” or “80’s hip hop” which she did not relate to since she had no idea what a boom box was. So, I contacted Adria Ruff from Anders Ruff and she designed an AMAZING set that matched exactly my daughter’s idea of Hip Hop for a seven-year old girl. 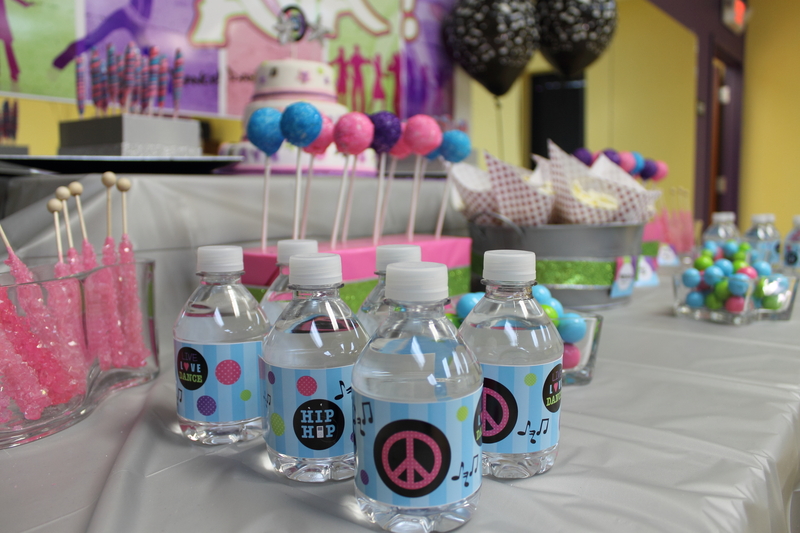 She included an mp3 player in the design as well as a “big pink PEACE sign”, which was a request from my daughter. My brother-in-law, Michael Schleif, who is a graphic designer, designed the backdrop with the direction of making it “graffitti-like” yet current and with a hint of glamour. He delivered beyond the request! Everything looked so awesome! Oh, and I made the cake! It was my first try at fondant (with the help of my neighbor, Maureen Cleveland, who is a very talented baker). Ava has many severe food allergies, so we are not able to purchase a cake from a bakery. She loved it and I thought it turned out pretty good for my first try!